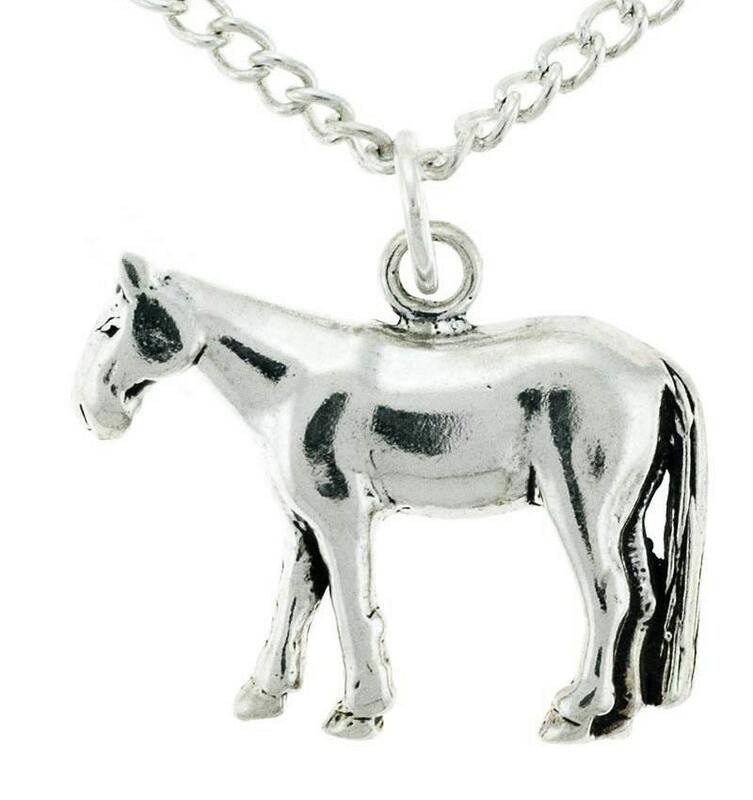 This listing is for a Horse Charm and Chain. The approximate size of the charm is 5/8 inch tall by 7/8 inch long and comes with a FREE 18 " chain! All Sterling Silver.